Empower telecom field technicians with the information and tools they need to accurately diagnose customer issues and speed service restoration. Tasked with servicing unhappy, disrupted customers makes telecom repair a challenging field. Putting smart mobile tools in the hands of technicians empowers them to make each customer touch point a positive experience. 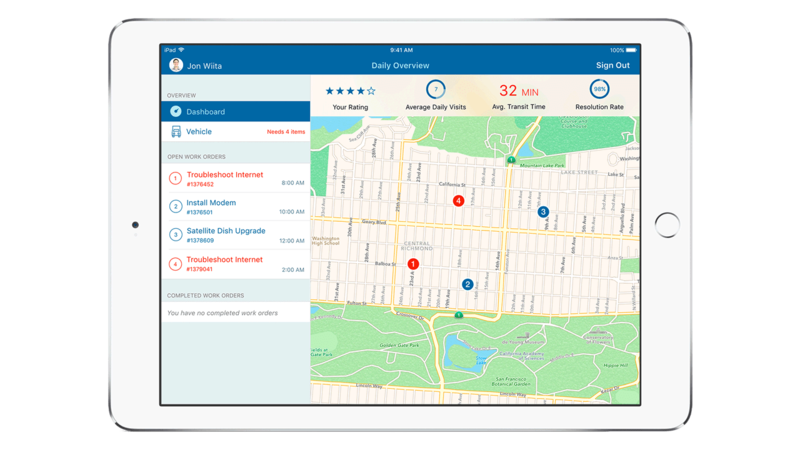 With IBM MobileFirst for iOS Expert Tech, field technicians can better prepare for their service calls, more accurately diagnose and fix problems, and resolve service issues on the first visit. Quick and successful restoration of service can improve customer satisfaction. Give technicians the information and tools to do their job correctly on the first visit. Use information and analytics to quickly uncover root problems to reduce repeat visits. Address complaints faster with advanced mobile technology and better collaboration. Confirm customer satisfaction with the service call and document resolutions.